My original post on the fake Vapur have been rather popular over the last few months so it seems fitting that I do a follow up to it, especially since I have since gotten a genuine Vapur and can tell you where you can get one for yourself. When placed next to each other, it looks like the same thing at a glance, but there are a few important differences. If you get to touch it, you’ll find that the fake one (blue) feels more like thick tough plastic sheets while the real one has a softer and more flexible feel to it. I imagine if it’s flexible, it’ll be less prone to cracking if you fold it and put pressure on the folds (like stuffing it in a bag between other objects). The most important difference here is the bottle cap. I described the fake one as similar to a detergent bottle cap. The original is a bit bigger, made of clear but tough plastic and needs a bit of work to pop open. 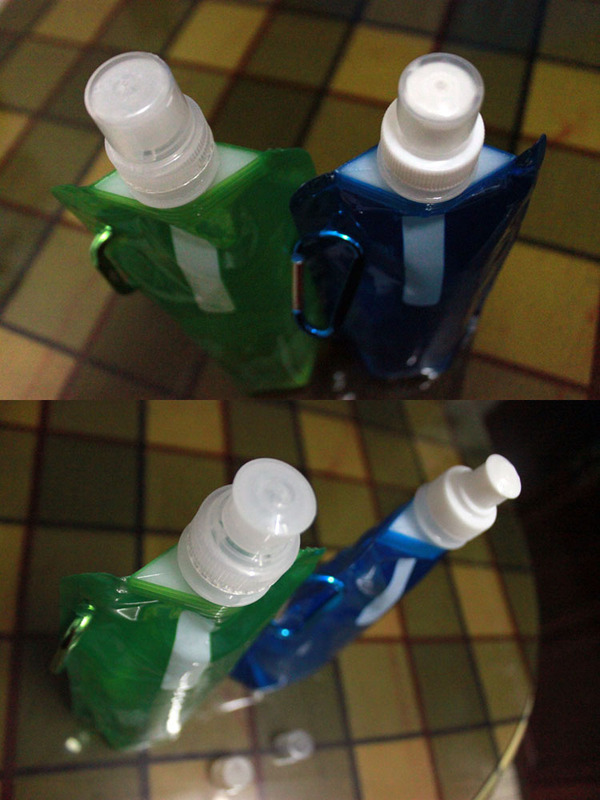 In comparison, the fake one easily slips open and close, which isn’t something you want in a water bottle. I’ve been using mine for several weeks now and I really like it. It’s attractive and easy to stuff into a bag pocket in the rare occasions that it’s empty. My current work bag setup does not leave room for a water bottle inside, so I usually wear it clipped to a connecting ring. 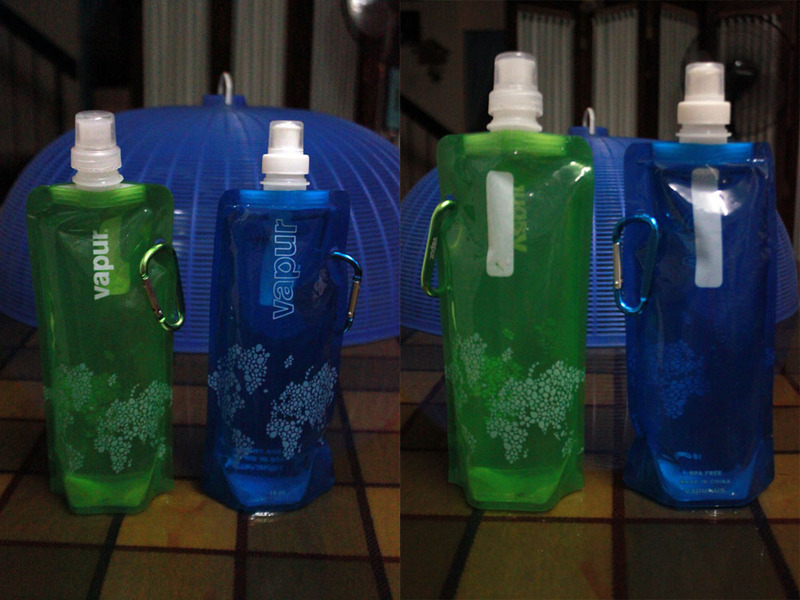 Vapur holds 0.5L of liquid, is BPA free and is available in 6 colours. For full details, visit their website. 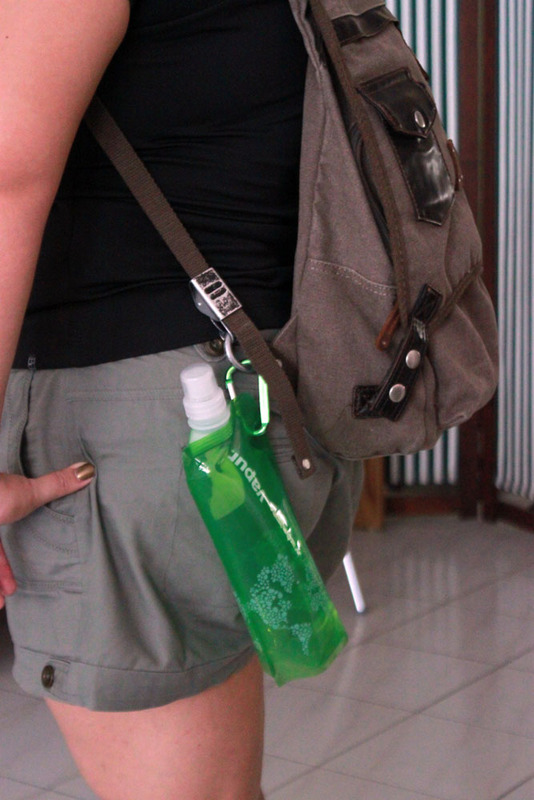 Where in PJ can I buy a platypus bottle? :Let me know asap. 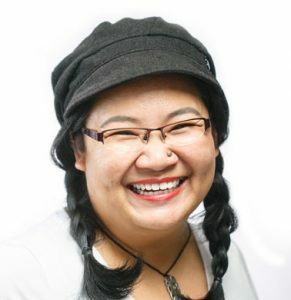 I just read your blog. Checked Google for Vapur, got their homesite and this informative blog. 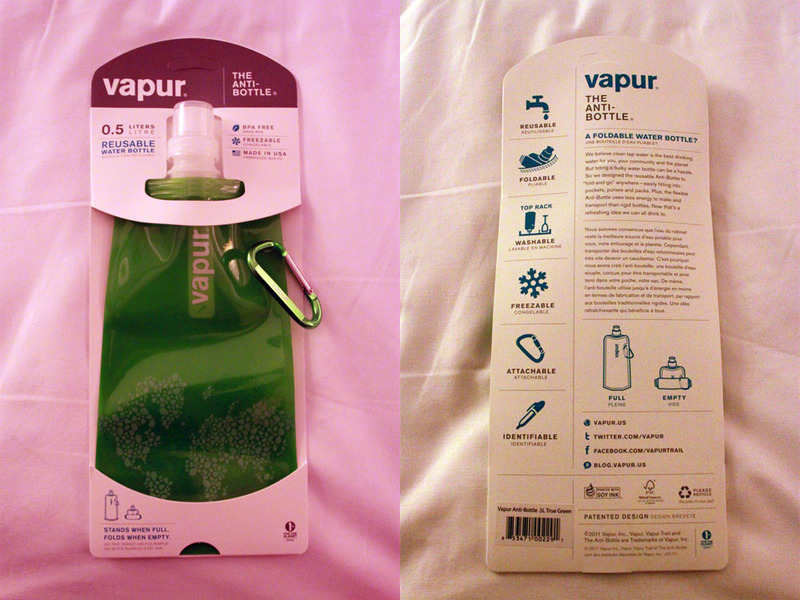 Yes, I bought a Vapur bottle today, and this evening I find out it’s a fake..darn. Spent M’sian Rm 16 on it. What can I do? Use it. I’ve been using outdoor stuff (originals) like this in the late 90’s. Mostly bought from S’pore. Travel towels, try Packtowel, hydration packs try Camelbacks (platypus was the first brand I bought..not to lasting), Nalgene bottles were fun..Sleeping mats go for Thermarest, mine’s close to 13 years..no punctures or leaks, comfortable as heck. I still sneak out of my room to sleep on it in the living room..wife’s not to keen on it..I wonder why?